Race around Britain's historic railways from Aberdeen to Scarborough, Durham to Dover with this fast-paced, fun family game. Start with 6 destination cards, then plan your route. Be first to arrive back at your starting point to win. Watch for hazards and station closures; roll a 6 to open and close a station of your choice. 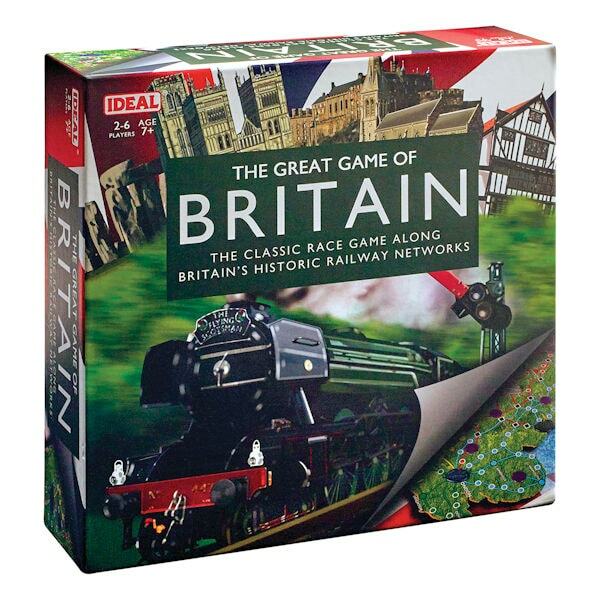 Includes game board, cards, dice, and a map of Britain. For 2-6 players ages 7 and up. Designed in the UK.